University of Lucknow has 37 affiliated Colleges. Click here to explore them. 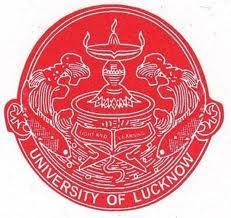 University of Lucknow has 51 Departments listed that offer various academic courses. International Conference on Statistics and Related Areas for Equity, Sustainability and Development SRAESD 2015, University of Lucknow, November 28-30 2015, Lucknow, Uttar Pradesh Events Dates : November 28 2015-November 30 2015 Organized By: Department of Statistics, University of Lucknow, Lucknow Sponsored By: Department of Statistics, University of Lucknow, Lucknow Registration: http://www.lkouniv.ac.in/pdf/seminars_06042015.pdf Registration Fees: From India Early/Late In Rs. Are you Interested in studying at University of Lucknow? This page was last modified on 18 January 2016 at 19:01.